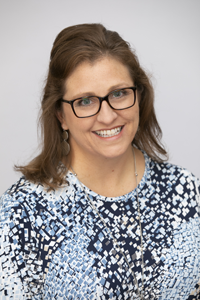 Karen Daughtery serves as the K-12 Institutional Program Manager at IMS Global where she facilitates program activities for multiple Innovation Leadership Networks. She works closely with individual members to accelerate the uptake of IMS open standards and practices to enable next generation digital learning. Karen began her career in the K-12 setting. While in her position as an Instructional Technology Specialist in Forsyth County (GA), she held a variety of leadership positions at the school and district levels before transitioning into a corporate educational technology role. Karen holds a bachelor of Science in Education from Georgia State University and a Master of Science in Technology Integration from Walden University.